Echeveria defractans x carnicolor has the most delicious caramel coloured pointed foliage. They will darken to a toasty mahogany in full sun. Ultimate size is about 12cm (5"), and will spread with many offsets to form a low growing carpet. 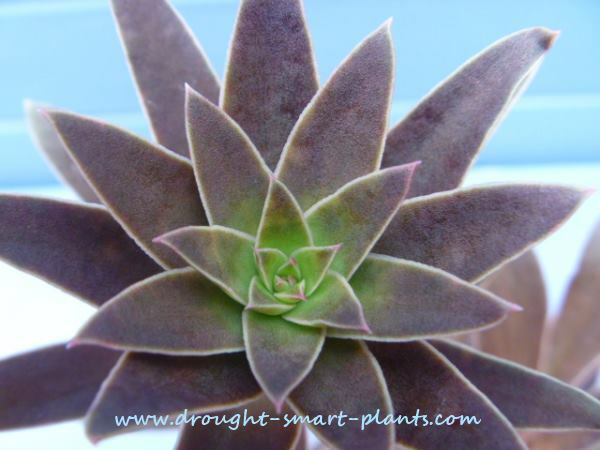 Best conditions are bright light to maintain the darkest colour, and well drained soil. Most Echeveria cannot survive any frost, so protection all year is necessary. 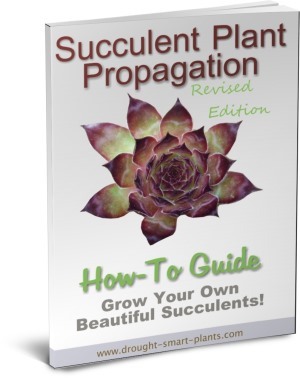 Propagate by leaf cuttings, in fact, even the leaves on the flower stem will root easily, which is not always the case with Echeveria. The leaves are very delicately attached leading to the species name - defractans means shattering, which tells you what this plant tends to do if jarred. Despite this tendency, it's a good plant for beginners due to the ease with which it grows new plants from even very small cuttings or leaves. Use in a group planting or collection, planted in my favorite terracotta clay pots.